When you register one or more domain names with us you will get a free domain names control panel to manage your domain registration. The free domain names control panel features many useful features to help you manage your domain registration. Transfer Your UK & .COM Domain Names To AWD For FREE! To transfer UK domain names to AWD Web Hosting you simply need to change the IPS TAG of the domain name to EXTEND. You can usually do this within your domain control panel, if not you can request your current provider to do this for you. Once the IPS TAG has been updated you can then add the domain to your AWD shopping basket! For other domain names such as .com you need to first unlock the domain name, again this can usually be done within your domain control panel. Once the domain name has been unlocked you can add it to your AWD basket. Know Someone Who Needs a Domain? Use the domain lookup form below to search for domain names and we'll quickly see if it's available! 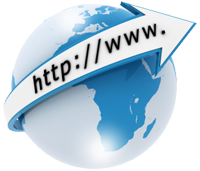 Domain names are registered for 1 year unless stated otherwise and are exclusive of VAT.